Planarity is an excellent excercise for data modelers attempting to untangle their entity relationship diagrams. Move up the levels and hone your skills. What Do the Boxes and Lines Mean? 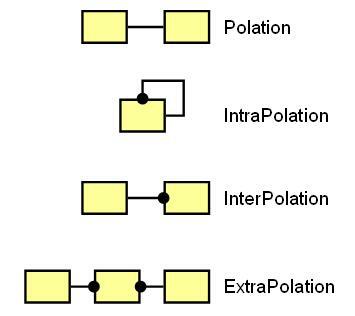 These four graphics are representative of the four fundamental relationships in the relational model using a notational style called IDEF1X. These four relationships are used to design relational databases. I am of the opinion that these relationships form what I call a “tetrad”, a term I borrow from Marshall McLuhan, and that it shares characteristics with other tetrads. I invite you to look at the other posts under the tetrad category in my blog. The first column is SQL again, just to give us our bearings. The second column is based on graphing terminology. The third column is based on a book Innovator’s Dilemma. 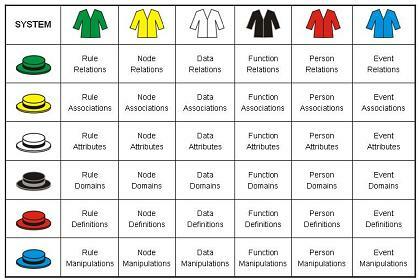 The fourth column deals with the basic relationships and cardinality of data modeling. The fifth column with the basic facets of physics.